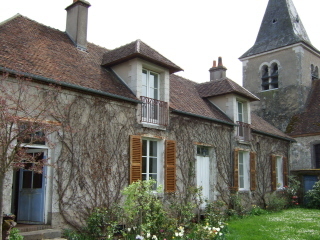 Every French village has an ancient church and next to the church is often an ancient presbytery, home for priests. Jeff and his wife Mary discovered the long-abandoned presbytery, restored it, celebrated their watercolor wedding there, and welcomed his mother Gretchen Van Blaricom, retired from the Yale University medical research department, to live in their special home. Gretchen welcomed us and prepared savory French meals, steamed asparagus wrapped in thinly-sliced ham, eggs freshly laid in the garden nest, all so good. We were invited to Jeff’s with another writer, Linda Lappin and her husband Sergio. They live in Rome. A small world connection-Linda, author of the “dazzling bit of fictional sorcery” novel “Katherine’s Wish,” graduated from my alma mater in St. Petersburg Florida, Eckerd College. Jeff chauffered us across winding country roads to Vézelay, a French hill-top seven-wonders village where pilgrims crawled on their knees to the basilique which still claims to hold relic bones of Mary Magadeline. On the road we saw the craggy French rock-climbing area where the French Army trains and rock-climbing enthusiasts gather on weekends. Sept-ecluses means the famous staircase of seven locksfrom the 17th century, conceived by Henry IV in 1597 as a way of linking the Mediterranean Sea with the Atlantic Ocean and the English Channel. 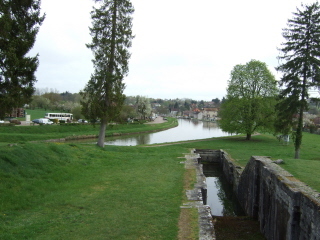 The Rogny work was completed in 1642. 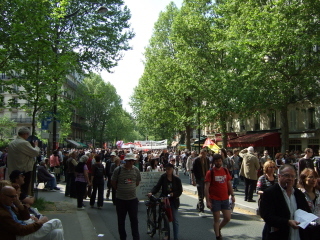 May Day brought massive labor demonstrations to Paris streets One of the largest and longest, six hours, passed outside our apartment on Boulevard Saint Germain, loud international music, busy sidewalk cafes, hours and hours of chanting and banners calling for fair employment. May also found us with our Friday Tour Group in post card perfect Samois-sur-Seine near Fountainbleau at the home of Laura Lam, author of “Late Blossom” and founder of the Viet Nam Village Children Fund, her charity to build bridges and schools to her Mekong Delta village. The war ended more than 30 years ago and Viet Nam still suffers its ravages. Our visit to Samois was May 8, VE, Victory in Europe Day. The mayor celebrated Americans and other allies at the war memorial ceremony. Patton’s eighth army liberated Samois from Nazi occupation. Not only were there photos of American GIs rolling through the narrow cobblestone streets to the cheers of the French. There were actual jeeps from that day on display. We were proud, and so moved, goosebumps, tears… you get it. My husband Jim and I have led the Friday Tour Group in Paris on more than 20 tours since September 2008–stay tuned for details and photos plus inside travel tips. If a cold soft drink with crushed ice is all you want, purchase it to go at McDonald’s, all over Paris and the rest of France. The cost rings up at less than two euros versus four euros and up at Paris cafes. Save the special cafe and bistro experiences for a luscious French coffee or a glass of wine. 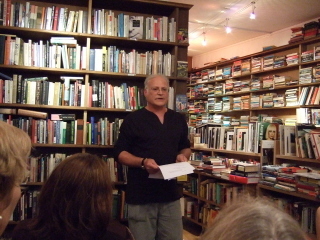 You are currently browsing the Pam’s Paris weblog archives for May, 2009.